The AT&T version of Samsung Galaxy S3 (SGH-I747) has already received Android 4.3 Jelly Bean Over-The-Air (OTA) update with firmware build number I747UCUEMJB. Samsung Galaxy S3 (AT&T) SGH-I747 users who have already updated their devices with Android 4.3 Jelly Bean, may root their devices using the tutorial below. 5. 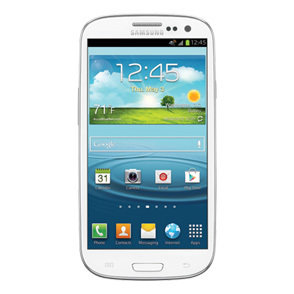 The CF-Auto-Root file works only on the AT&T version of Galaxy S3 (SGH-I747). Applying this to any incorrect variant might brick the device. Verify the model number of the Galaxy S3 by navigating to Settings >> About Phone. Samsung Galaxy S3 (AT&T) SGH-I747 running on Android 4.3 Jelly Bean is now rooted successfully. Open the app drawer of the phone and check for an app called SuperSU. Verify the root status of the device by downloading Root Checker app from Google Play Store. I would really really really like some help, after foolishly updating to 4.3 I can't use any of my fav stuff anymore and doing this step by step it wont root the phone im pass mad at this. How did it turn out for you? I'm in the same situration! does this work if you have knox removed? How Do You Unroot The Phone After????? There is a button in super user (#SU). You should download the clock work mod recovery app from the play store and have fun though. wow can any one tell me if this works on windows 8.1 pro?? ?